Gallery 7 Digital Studio | Enjoy Your Photos! The search for the right gift for your loved ones can be a tough one. At the end of the day, it comes down to personal choice. Gallery 7’s “Art Is Me”, hopes to making that choice even more personal – Why not turn your photos into a unique CANVAS Wall Art instead? No, its not just an ordinary portrait. Gallery 7 creates portraits with a twist. 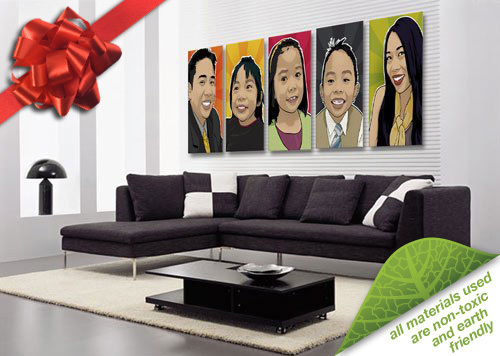 Turning your ordinary photos into colorful one-of-a-kind canvas art pieces – artworks that are guaranteed to delight your loved ones. Our 100% cotton canvas prints use long-lasting archival inks that have received permanence ratings that well exceed 75 years. In addition, prints are treated with a UV water resistant veneer coating that protects against fading and dust, ensuring your canvas print will keep its original brilliance for generations. Not just any kind of wood. Museum quality stretcher bar frames are used with an elevated rounded top that stands off so that the canvas doesn’t touch more wood than it needs to. This prevents unsightly impression marks and surface cracking. Our wooden stretcher bars are completely dried so they won’t “twist” your artwork over time. The canvas is stretched, stapled and taped carefully at the back of the frame—not on the sides. This gives you a clean, seamless and modern look, so you don’t need to frame them. We do not seal the back of the canvas to “let it breathe”. They are lightweight and ready to hang letting the canvas art hang safely and flat against the wall. Wait! We can still do something about those “low-res” photos — photos that are too small in resolution or too “pixelized”. We can do wonders with it by applying a “watercolor” effect to mask out the pixelization. See image below. 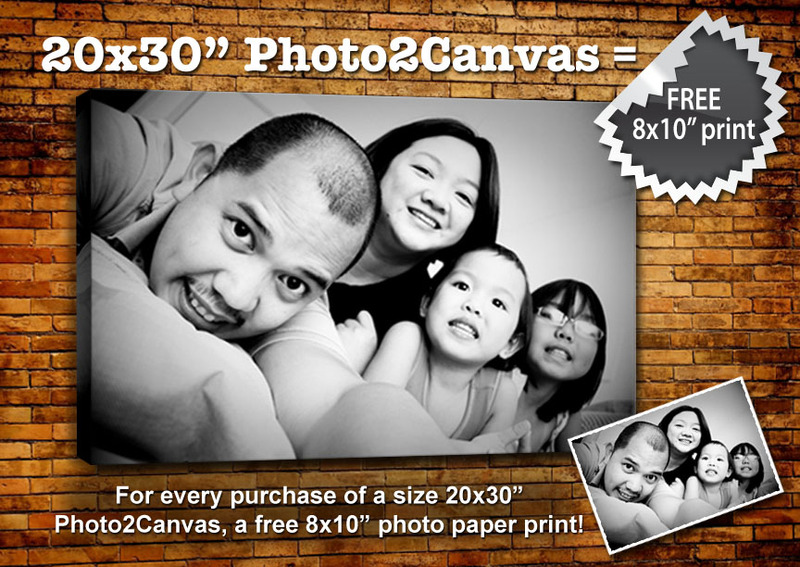 This photo is too small in size of resolution and is “pixelized”, therefore will not look good when printed. Putting a “watercolor effect” can mask out the pixelization and will look good in print. The watercolor effect on the photo printed on canvas makes it look more like a “painting”.